DN : 25 ~ 100 mm. power : 0.42 – 11.6 kw. 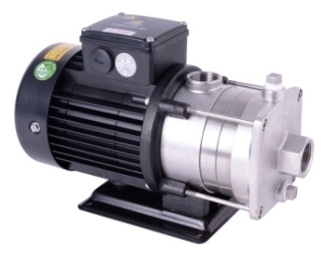 Head : up to 70 m.
Features: Horizontal multistage centrifugal pump, non self-priming, co-axial pump/motor design, impellers mounted on extended motor shaft. Main working parts made by stainless steel. ถึง : ไทย พินนะเคิ้ล เอ็นจิเนียริ่ง บจก.